"Freedom's Bonds: Reconfiguring Formal Freedom in Antebellum U.S. Law and Literature"
(B.A. 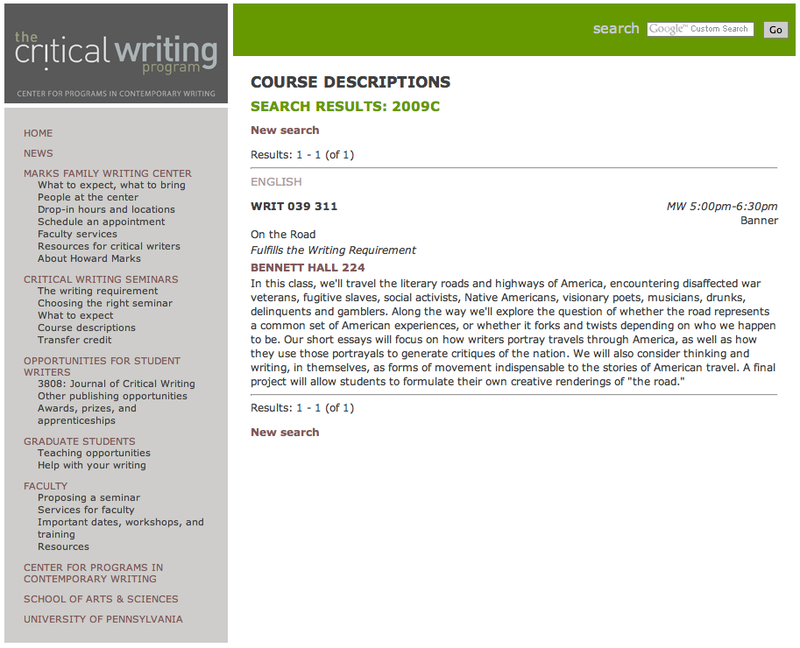 English, Oakland University, Rochester, MI) Rachel is a doctoral candidate in the Department of English. She is currently completing work on a dissertation titled "Freedom's Bonds: Reconfiguring Formal Freedom in Antebellum U.S. Law & Literature" under the direction of David Kazanjian. Her research explores the ways that the aesthetics of legal formalist knowledge carry emancipatory potentials in the early 19th century. She has presented portions of her dissertation at the McNeil Center for Early American Studies, the Penn Program on Democracy, Citizenship, and Constitutionalism, and at C19: The Society for 19th-Century Americanists. Rachel's article "Thinking Through Things: James McCune Smith's 'The Washerwoman'" is forthcoming in ESQ: A Journal of the American Renaissance, and she currently has other work under consideration with a peer-reviewed journal. In the 2009-2010 academic year, Rachel taught a freshman writing seminar in Penn's Critical Writing Program called On The Road, about popular U.S. road narratives. In summer 2011, she taught a course in the English Department informed by her research interests, Colorblindness in U.S. Law and Literature. She also taught a course in the English Department at Temple University, Representing Race. She just finished teaching a section of the writing course for Penn's Pre Freshman Program (for academically gifted Penn freshmen from under-represented backgrounds). Rachel is currently a Graduate Writing Fellow in Penn's Critical Writing Program. This year she will be continuing her work as a teaching mentor for new instructors, as well as teaching a class on Whitman's Leaves of Grass.